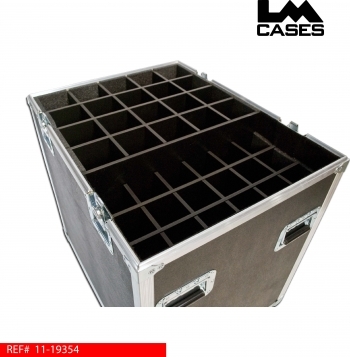 This case was designed for Forty Two Inc. The case is designed to hold 20 tall mic stands, 18 low profile stands and accessories. 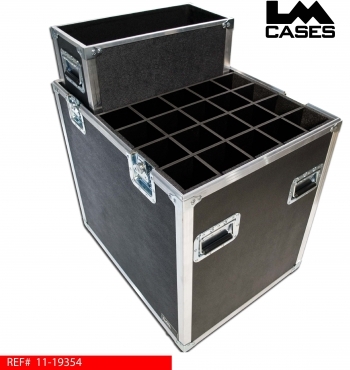 The case features a 3/8" marine grade plastic divider network to accommodate either straight or boom stands, the case also features a 3/8" plywood accessory box designed to round stand bases. 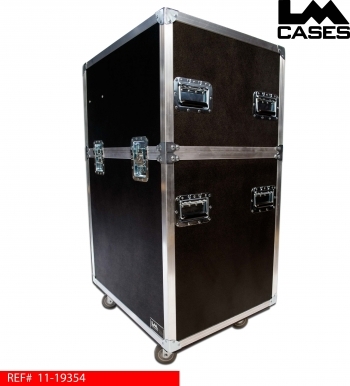 The exterior case is built out of 3/8" plywood & 3.5" casters. Special thanks to Forty Two Inc!